Apple CEO Tim Cook remains against the idea of merging the Mac and iPad to create one unified hardware and software experience, according to a brief conversation he had at Apple's education event in Chicago last month. "We don't believe in sort of watering down one for the other," said Cook, speaking with The Sydney Morning Herald's Peter Wells. "One of the reasons that both of them are incredible is because we pushed them to do what they do well. And if you begin to merge the two … you begin to make trade offs and compromises." "So maybe the company would be more efficient at the end of the day, but that's not what it's about," he added. "It's about giving people things that they can then use to help them change the world or express their passion or express their creativity. So this merger thing that some folks are fixated on, I don't think that's what users want." Cook reiterated that he generally uses a Mac at work, and uses an iPad at home and for travel, but added "I use everything and I love everything." Apple's boss also revealed that an Apple IIc, released in 1984, was his first computer. "I first used it for a project, as a senior in engineering school, making an inventory control program or for a rental business that was close by," said Cook, who majored in industrial engineering at Auburn University. Cook's comments echo those he shared with the Irish Independent in 2015, when he said Apple is not interested in creating a "converged Mac and iPad." "What that would wind up doing, or what we're worried would happen, is that neither experience would be as good as the customer wants. So we want to make the best tablet in the world and the best Mac in the world. And putting those two together would not achieve either. You'd begin to compromise in different ways." 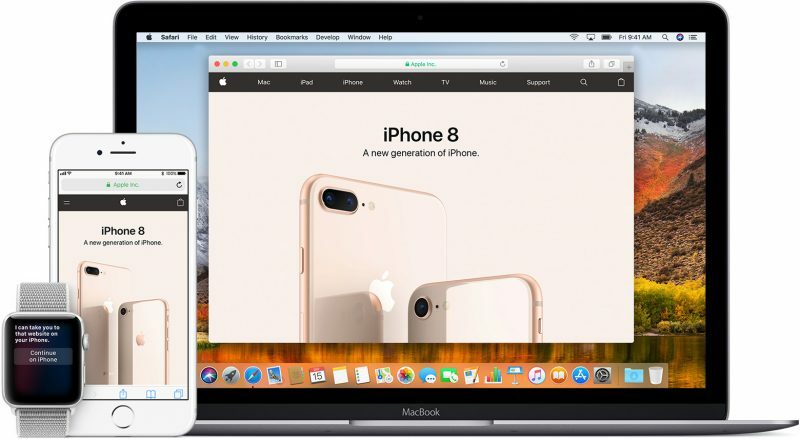 While the Mac and iPad will remain distinct products, Apple has and will continue to bridge the gap between its desktop and mobile platforms. In 2014, for example, it introduced Continuity features like Handoff and Universal Clipboard that enable more seamless experiences across Mac, iPhone, iPad, and Apple Watch. Apple may go one step further in iOS 12 and macOS 10.14, as Bloomberg's Mark Gurman recently reported that developers will be able to design a single third-party app that works with both a touchscreen, and a mouse or trackpad, depending on whether it's running on an iPhone, iPad, or Mac, starting later this year. They should make a good laptop first. Then maybe he needs to stop pushing the iPad as a "computer". If he's adamant about keeping them apart, and they do have systematic benefits to themselves, then just stop with the nonsense of an iPad "What's a computer?" campaign. I use my iPad pro on the go and it has it's limitations that I wouldn't get on my MacBook, although, I love the versatility of my iPad Pro so it has its own benefits as well. It's already watered down, the Ipad isn't a computer. Well, they were originally against the stylus too, so... it's still possible. Make the screen detachable like an iPad. When you detach it, it runs iOS. When you have it attached, it runs OSX. It would be the perfect computer. Steve was against a stylus, they added the Apple Pencil after Tim took over the company. So if something happens to Tim whoever the next CEO is might make this a reality. THIS is what would result in trade-offs? Because their lineup is so seamless and elegant right now? Please. It's a disparate collection of iterated-to-death products, each SKU mired with trade-offs of their own. Tim, stick to social causes and let someone with a passion and background for tech and product design set the course for a unified future vision. One of the selling points of the first iPhone was "it runs OS X" (later in the keynote it was revealed that it was running a "modified" version of OS X, but the link between the phone's OS and OS X was considered a crucial sticking point). Instead of merging MacBooks and iPads, Apple should instead make iOS more powerful, more functional, and more in line with macOS.